I am interested in using your service to ship the car. I am open as far as the date, the only problem is that I live in Fredericksburg and the car is in Houston. I may or may not be able to meet your driver for the pickup but my daughter (who owns the car) should be available. The Blazer has been extensively modified for off road use and is jacked up about two feet. I started it several months ago with no problem but it also has a heavy duty winch just in case. I will be in Houston tomorrow and will telephone to make further arrangements. OK Yes that’ll be fine they’ll just need the keys to steer it if it doesn’t drive. Send me the address details and I’ll get to work and keep you posted with the drivers schedule. It’s off and on as far as timing because of the route. My question for you is this car has been lowered and was worried that it would not drive up a “ramp” Is the enclosed trailer have a flat lift? 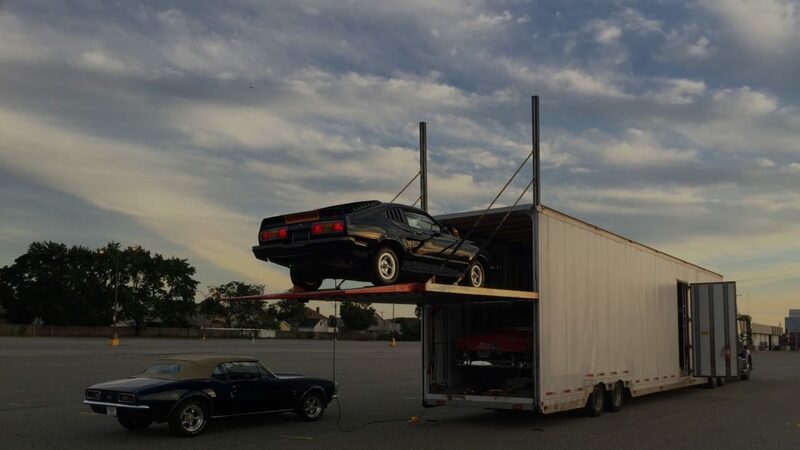 Or would this car work on your open trailer? Yeah in that case its best to go enclosed. That’s really the only reason to ship enclosed besides customer preference and or insurance needs. Also the front bumper on that car is really long so you’ll prob rub if you go open. Anytime there might be a case where damage can occur, it’s always best to play it safe. Loading and unloading are mainly where damage occurs. Customer received a basic rate which is based on driver availability. When you need to hit certain dates for a route that isn’t common(Dallas to Houston) it will get expensive and still have a chance not to hit those dates. Customers Question: Hello I needed my Car picked up on the 6th of Feb and delivered on the 8th what do i need to do? I wouldn’t recommend doing it that way. You’ll pay a crazy rate to get a driver to confirm dates like that. Anytime you need the drivers to hit dates they charge way more because the industry isn’t build that way. You can try and get lucky but thats the only way to keep the rate the same. I’d keep the rate the same and the dates of pickup and deliver should be close. Just deal with uber and or lyft to get around while you don’t have your vehicle.